The lowest updated Price of Samsung Galaxy M20 in Pakistan on this Page. 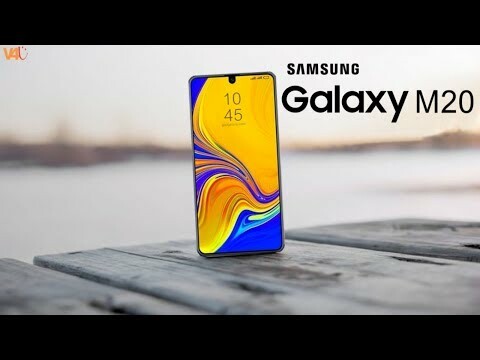 Samsung will dispatch Galaxy M20 with this situation that it will break the continuous rivalry in the market and it will make an enormous harm Chinese brand like Huawei and OPPO. Samsung Galaxy M20 Price in Pakistan is Rs.36,999. Its release date in Pakistan is February 2019 with leaks features and full specs. Check out the full Specifications including Camera, Colors, Images or Pictures and all other Features. Capacity subtleties of this phone demonstrating that Samsung Galaxy’s M20 is accompanying 32GB of inner stockpiling and RAM of the phone is 3GB as it were. Check latest updated Samsung Galaxy M20 Mobile Price in Pakistan on Pricealert.pk. Show of the phone is comprised of 6.13 inches which are by all accounts a standard size for gadgets like Samsung Galaxy M20. You can also buy online in Pakistan easily from here. This product is available in Ishopping, Mega, Myshop. At ishopping.pk you can purchase Samsung Galaxy M20 32GB Dual Sim Blue - PTA Complaint for only PKR.29,999, which is 29% less than the cost in Myshop (PKR.42,500). The lowest price of Samsung | Galaxy M20 was obtained on April 3, 2019 8:32 pm.